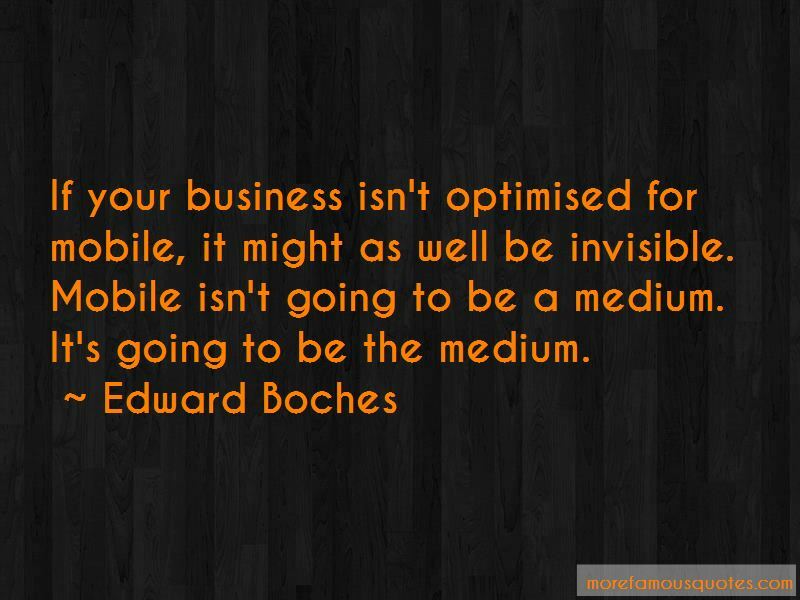 Enjoy the top 3 famous quotes, sayings and quotations by Edward Boches. This is advertising that is designed not to look or feel like advertising at all. The one thing we felt we got parents to agree with was that if their children ask them questions about enlisting, they had an obligation to, one, engage, and then two, be informed. 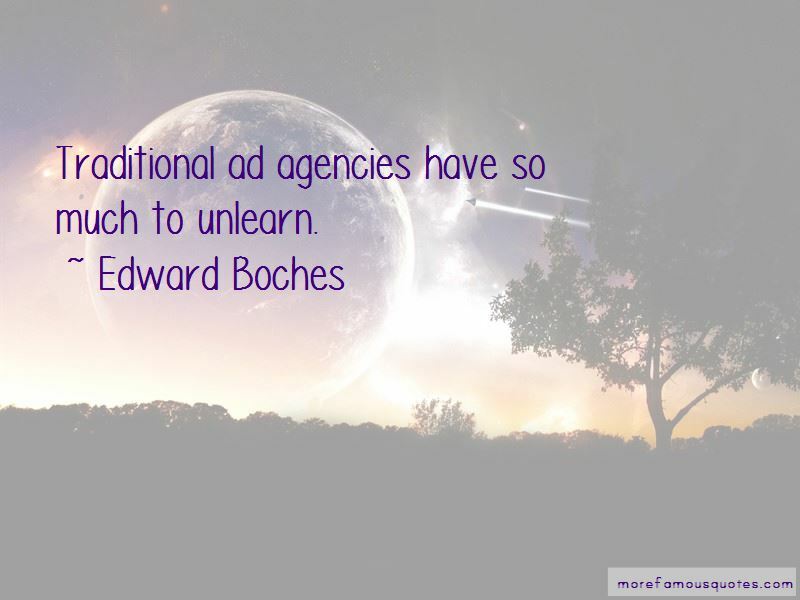 Want to see more pictures of Edward Boches quotes? 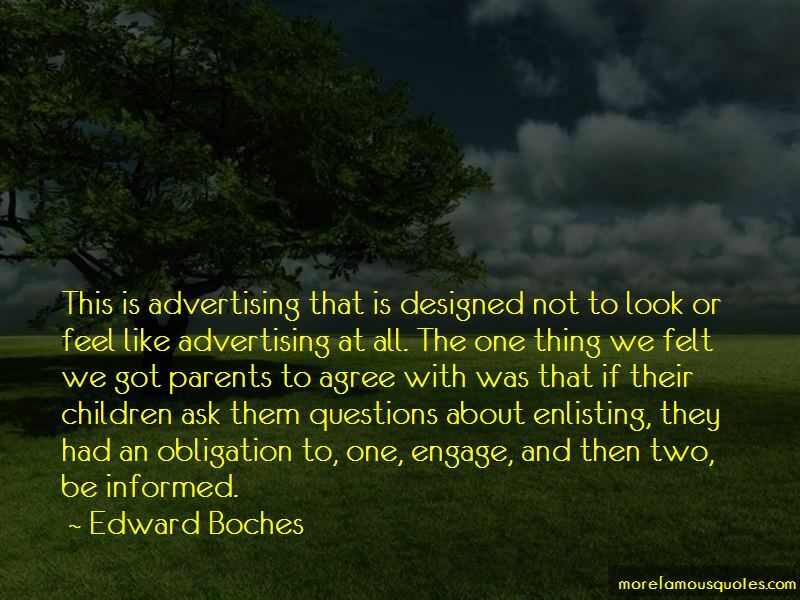 Click on image of Edward Boches quotes to view full size.